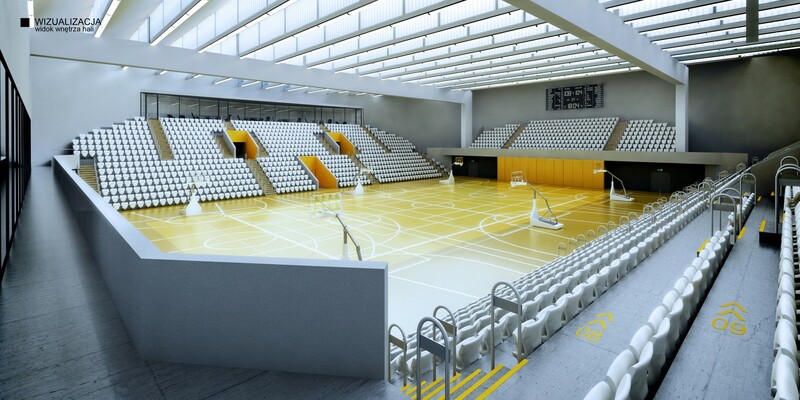 The project was awarded 3rd prize in the international competition for the concept of new main sports complex of Katowice. 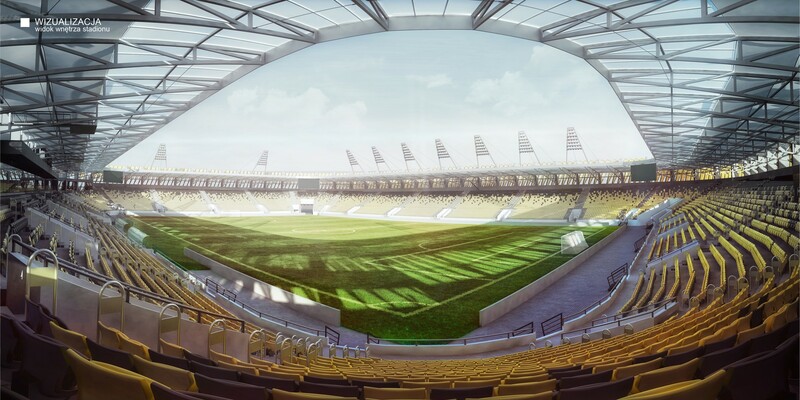 The idea proposed by LAPstudio and Stoprocent Architekci is the reinvention of already existing and well-received Arena Lublin stadium, now evolved and with new identity. 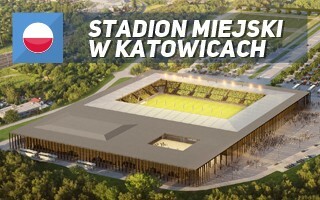 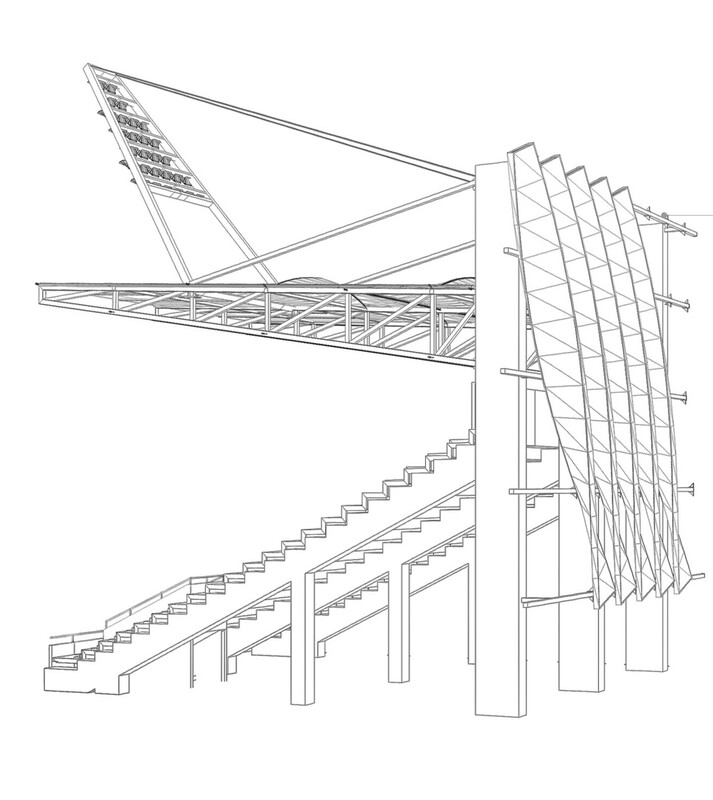 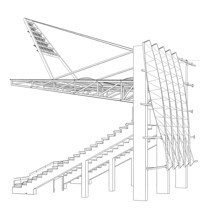 While similar structurally and in terms of auditorium shape, the Katowice stadium would have a different facade, consisting of twisted baleens, together creating a vivid and dynamic ensemble, seemingly changing shape as fans approach it. These cover both the stadium and indoor arena accompanying it. 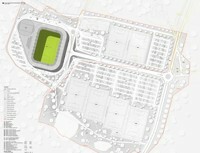 Together the two venues are conjoined within a rounded, pentagonal footprint. 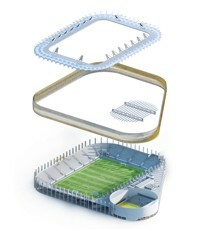 The circular indoor part is located in the west, almost invisible to fans, who would approach the stadium from the east and south.